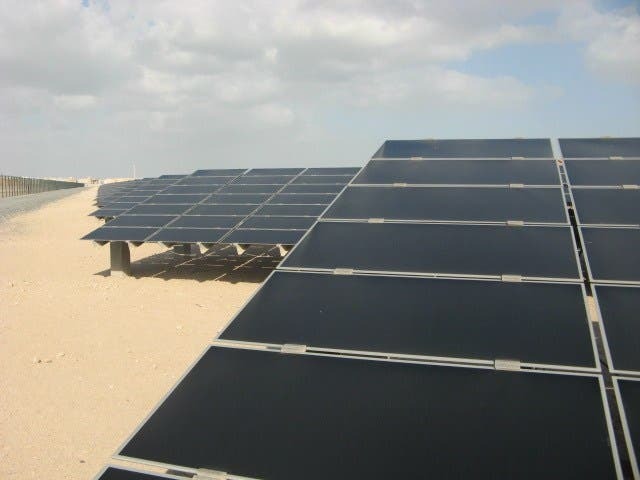 Countries from the Gulf Cooperation Council are expected to install almost 7 gigawatts (GW) of new power generation capacity from renewable energy sources by the early 2020s, according to a new report published by the International Renewable Energy Agency. The new report, Renewable Energy Market Analysis: GCC 2019, launched by the International Renewable Energy Agency (IRENA) during the Abu Dhabi Sustainability Week held last week, concludes that renewable energy is the most competitive form of new power generation in Gulf Cooperation Council (GCC) countries — countries which include Bahrain, Kuwait, Oman, Qatar, Saudi Arabia, and the United Arab Emirates. A combination of abundant renewable energy resources and a strong enabling framework put in place by local governments have led to solar PV prices of below 3 cents per kilowatt-hour (kWh) and dispatchable concentrated solar power (better known as CSP) of 7.3/kWh — less than some utilities pay for natural gas. Further, achieving existing 2030 renewable energy targets is expected to bring significant economic benefits to the region, including the creation of over 220,000 new jobs while at the same time saving over 354 million barrels of oil equivalent (MBoE) in regional power sectors. Specifically, IRENA expects renewable energy targets in the GCC to reduce the power sector’s carbon dioxide emissions by 136 million tonnes, a 22% reduction, while cutting water withdrawals in the power sector by 11.5 trillion litres, a 17% reduction, by 2020. Long-term ambition in the region is certainly seen as ambitious, but that has as much to do with the paucity of renewable energy currently installed as with the actual targets being set in place. At the end of 2017, according to IRENA, the region had a total of 146 GW of installed power capacity, of which only 867 megawatts (MW) was from renewable energy — a measly 0.6%, and 68% of this capacity was in the United Arab Emirates, leaving plenty of room for the region to expand. However, the GCC now boasts several renewable energy targets and the region already has plans to install almost 7 GW worth of new renewable power by the early 2020s, dominated unsurprisingly by solar PV, accounting for three-quarters of the regional project pipeline. CSP and wind energy account for 10% and 9% respectively.